Sorry I'm a few days late with Harvey's Baby Card but here it is for you now. I've used the same papers and card as I did on the Baby Shower card. The paper range is called Animal Stackers by Three Bugs in a Rug and card is all Stampin' Up! I have used a multitude of Stampin' Up! 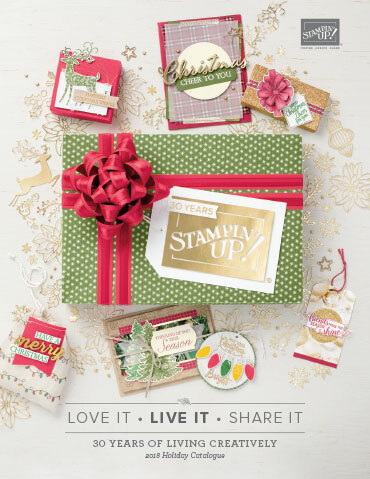 punches and the font is the Stampin' Up! Timeless Type Junior Alphabet Medium Sizzlets Die.The grass was created using a Cricut Cartridge and I used a long Rectangles Nestability die as well. Our brand new baby Grandson, Harvey Joseph Myers was born on Monday 22nd August at 6.55pm and weighed 8lb 4oz. He's absolutely gorgeous and we love him to bits. 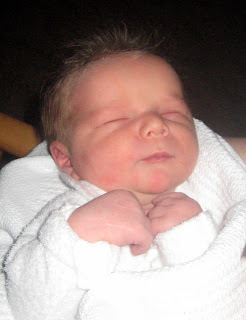 Isn't he just soooo precious! 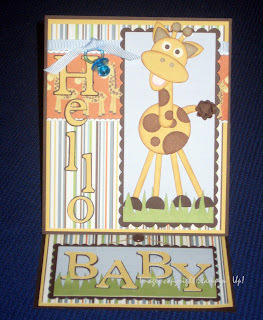 And what's a post without a card ... here's the card I made for Harvey's baby shower. 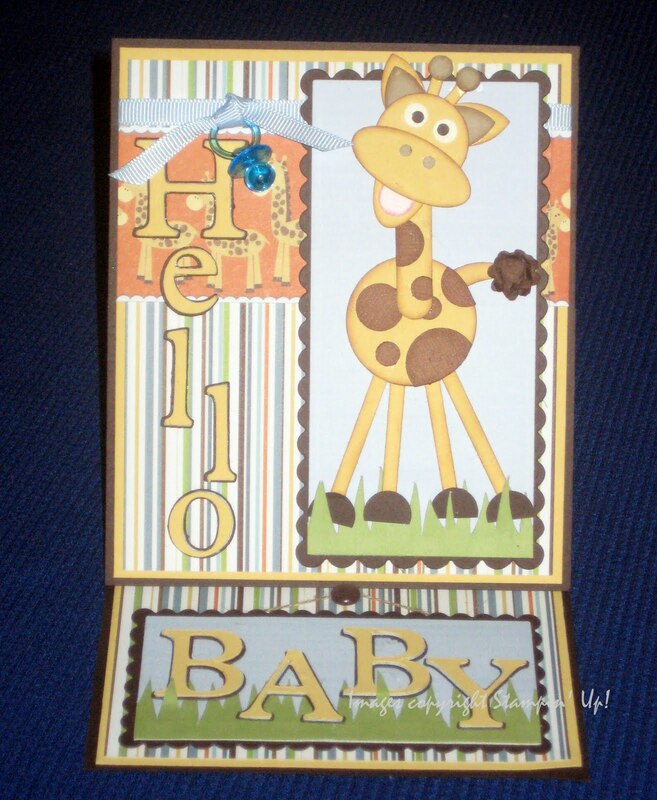 I did make him the cutest Giraffe card but forgot to take a photo. I will do that when I next visit him and post it for you. There is a zoo theme in his nursery so I have followed through with the theme on his cards and with his gifts. If anyone wants to know anything about the card, email me and I will post the details. Well as promised here are some photos of my 'Christmas Countdown Calendar' Christmas in July class. Everyone received half a kit of the 'Christmas Cheer' Simply Scrappin' Kit and they made the countdown calendar, a card and a box to put the countdown dates in. Here's a close up of the Christmas Tree. I made two calendars and the girls chose which design they wanted to make. Here's the other design and it's really very cute. After I uploaded it I realised that it doesn't have the covered clip or date on it ... sorry! 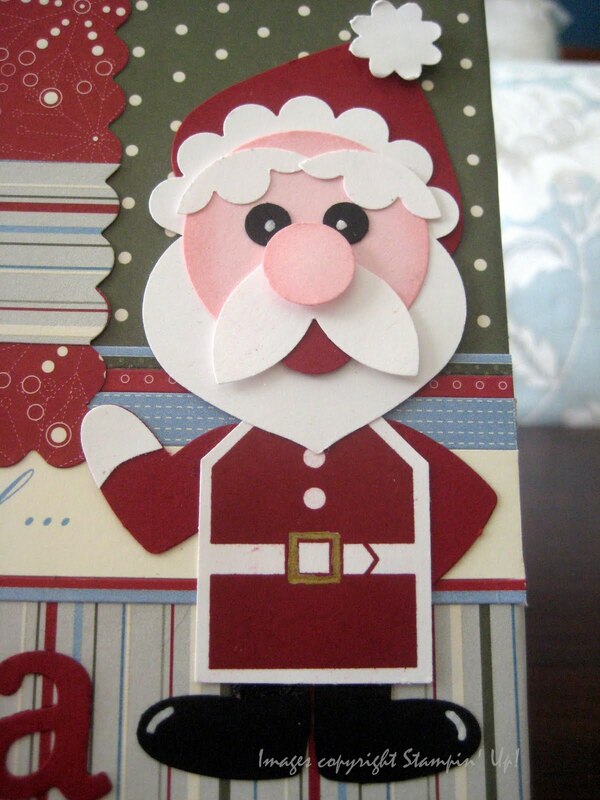 and here's a close up of Santa. The whole class consisted of Stampin' Up! products apart from a Nestabilities Labels 2 die which was used on the Christmas Tree Calendar, a Celco Bulldog Clip from Woolworths and the silver bells and silver stars which were purchased from Spotlight. Full Heart, Heart to Hearts; 1/4", 1/2", 1.1/4", 1.3/8" Circles and 1.3/4" Scallop Circle, Large Tag, Ornament, Boho Blossoms and the Five Petal Flower Punches. and of course ...Box No. 2 Bigz Die, Dazzling Diamonds and 5/8" Marina Mist Grosgrain Ribbon. BTW the "Days until ..." words were printed from the computer. I think that covers everything! 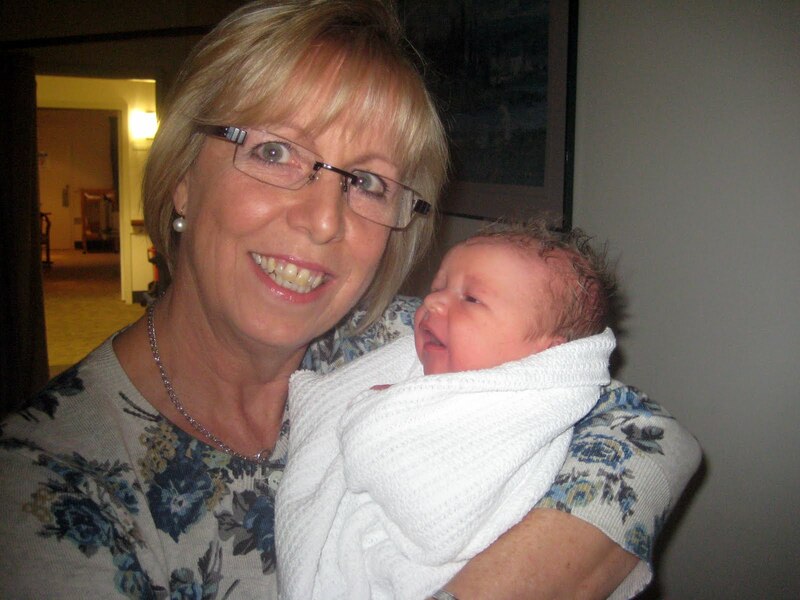 It'as time to say goodbye to some wonderful Stampin' Up! products. The Retirement List is available and remember everything on the list is only available until the end of August or while stocks last. If you would like to order anything, just send me an email and also contact me if you would like to order your copy of the 2011/2012 Idea Book and Catalogue.